Jonathan C. Dopkeen, PhD, directs the Center for Employee Health Studies at the UIC School of Public Health, and teaches in the Masters of Healthcare Administration Program. The Center works in health and demand management, Workers’ Compensation quality and performance, organizational health and productivity, and employment-based policy research. 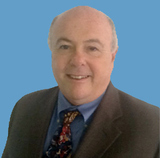 He teaches Population-Based Health Planning and Public Health Systems Policy and Management in the MHA and MPH Programs. Clinical Assistant Professor and Director, Center for Employee Health Studies, School of Public Health, UIC. In preparation for PPACA, he directed Illinois’ 2012 study of how Small Business in Illinois would engage in the SHOP and contributed to the curriculum and training of the State’s Navigators n preparation for the Exchange (Marketplace). Dr. Dopkeen was Assistant Director of the Illinois Department of Public Health (2003-2007), where he focused on strategic initiatives and Health Information Technology. He chaired the Illinois’ Electronic Health Records Taskforce, the Health Information Privacy and Security Collaborative, and championed the successful implementation of the Illinois National Electronic Disease Surveillance System (I-NEDSS). He co-chaired the Illinois Accreditation Development Task Force, exploring new models of local public health accreditation. He previously served as Deputy Commissioner at the City of Boston’s Department of Health & Hospitals with principle responsibility for the administration of the Boston City Hospital. Dr. Dopkeen has been a thought leader in healthcare policy with over 30 years of experience in public health, human resource and health administration. He has a deep interest in medical quality, health service delivery and consumer/patient decision making. He has been a principal in several national actuarial, human resource and health policy consulting firms. His innovative, data-driven consulting on employment-based health programs has impacted human resource decisions on health services, retiree medical policy, organizational development, workers’ compensation and long term care. He is recognized for expertise in the data-driven collective bargaining of health plans, and has presented to business coalitions, professional and labor associations, and to Congress. Dr. Dopkeen has a B.A. in Political Science from Tufts University, an M.A. in Urban Policy Analysis from the New School for Social Research and a Ph.D. in Health Policy from Boston University.